Idaho's Victor Sanders will lead a team picked to win the Big Sky Conference this season. The big picture: The Vandals enter the new season with sky-high expectations. That'll happen when you bring back all five starters and seven top scorers from a team that finished tied for third place in a highly competitive Big Sky Conference. This marks the first time since the 1998-99 season that Idaho, then playing in the Big West, has been picked by coaches and media members to win its conference. If expectations are to become reality, the team will have to once again lean on senior guard Victor Sanders, a preseason all-conference pick who averaged more than 24 points in conference play last year. They also get back senior guard Perrion Callendret, a dynamic player who missed all but two games last year due to a season-ending injury. 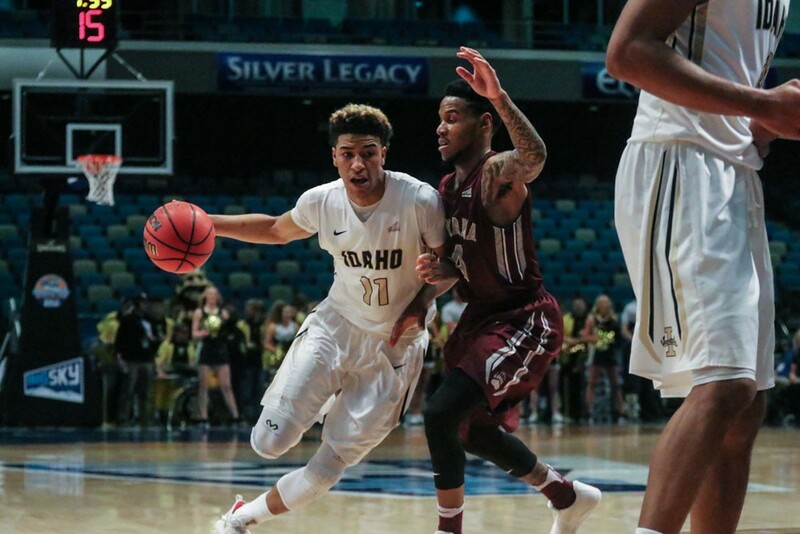 He was the second-leading scorer on the team two years ago, including dropping 25 in a win against Washington State; if he's back at full strength, the Vandals could be hard to stop. The big picture: Idaho returns its top three scorers from last year's winning squad, and will rely on the trio of Geraldine McCorkell, Mikayla Ferenz and Taylor Pierce again this season to stay in the top half of the Big Sky as a raft of newcomers arrive. Most intriguing among them, perhaps, is junior transfer Sarah Bersang, a native of Denmark who earned all-region honors at Eastern Wyoming College the past two years.